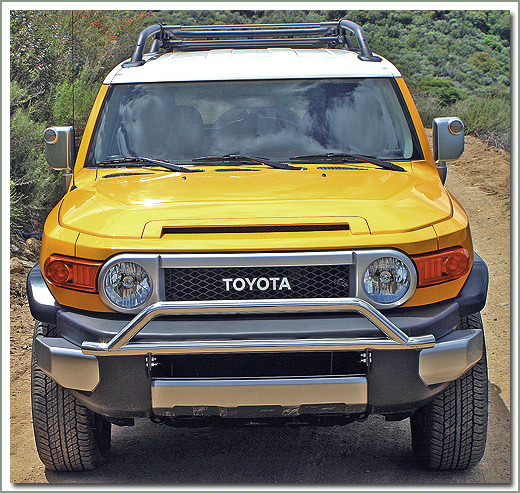 2006-- FJ Cruiser - Aluminum attachment features two padded rubber profiles to securely but tenderly hold your equipment in place . 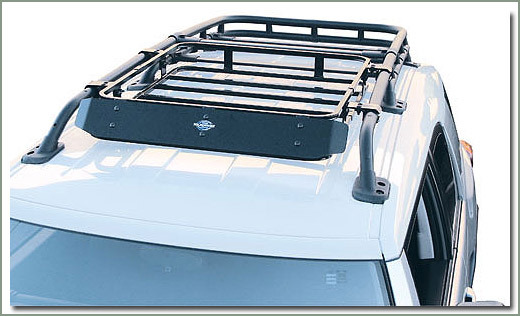 Custom designed to fit your factory OEM roof rack. Carries two pairs of skis or two snowboards. Integrated locks keep your skis in the attachment and on the rack. 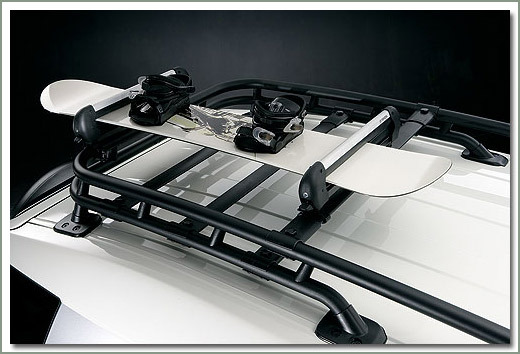 Requires #256-116 Rack adapter to install Ski/Snowboard Rack to OEM Roof Rack. Fits 2006 and later FJ Cruisers - Adapter exclusively designed to fit your factory OEM roof rack. Unique wheel tray holds bike in place freeing both hands for installation. Clamp arm securely grabs the frame to hold bike in place. Integrated locks hold your bike in the attachment on the rack. 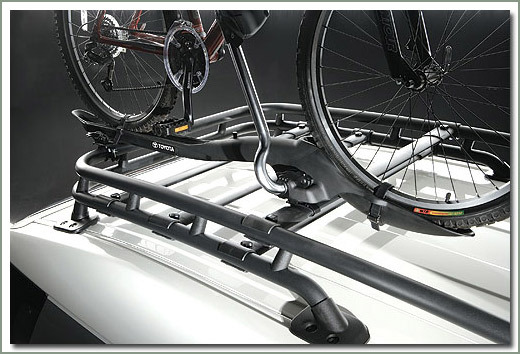 Attaches to the factory roof rack, which can accommodate two bike rack attachments. Bike racks are sold each. 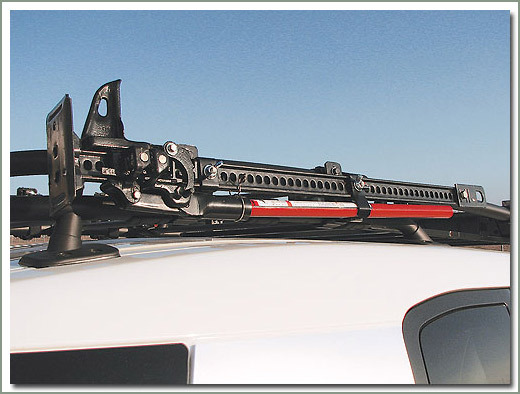 Requires #256-116 Rack adapter to install bike rack to OEM roof rack. shown above fully deck out. 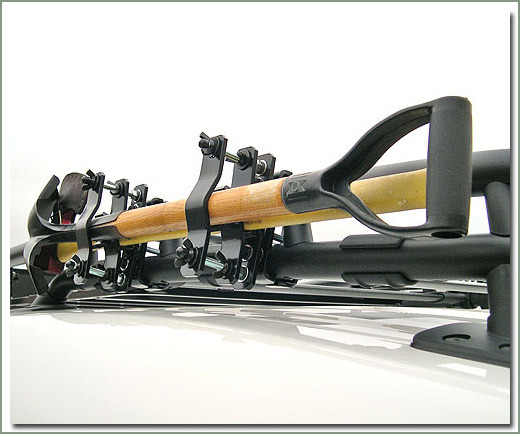 Wilderness Racks and Rack Accessories Aftermarket Wilderness Racks and accessories such as: Axe & Shovel Mounts, Auxiliary Light Mounts, Gas & Water Can holders, Spare Tire Bracket Kit and Hi-Lift Jack Mounts can be found on page 256. This bracket attaches to the side of the factory installed FJ Cruiser roof rack. No drilling is required for installation. All mounting brackets are black powder-coated for durability. Fits 2006 and later FJ Cruiser. 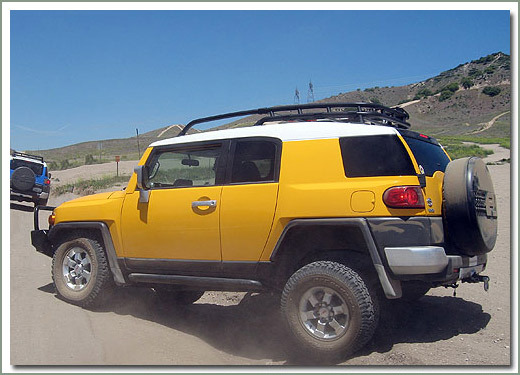 This bracket attaches to the side of the factory installed FJ Cruiser roof rack and is USED to mount an Ax and Shovel. No drilling is required for installation. All mounting brackets are black powder-coated for durability. Fits 2006 and later FJ Cruiser. 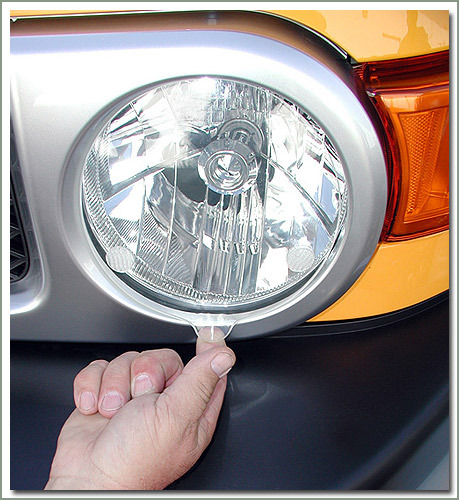 Protect those costly Headlights with Specter Off-Road's Headlight Shields. Made from 3/16 inch thick Implex Impact Modified Acrylic. Absorbs 8 times more impact than a non modified acrylics. D.O.T Approved, 8 year UV Life. Will not fog or haze. Nicks and scratches can be polished out. Compatible with all Rain-X® style products. The shields are attached to the headlight with three, mated, 3-M Dual-Lock buttons and have a molded-in finger pull for easy on and off. Sold in pairs. No drilling required. Custom fit to vehicle contour. Accepts up to four eight inch lights. Light tabs are welded on the top of the bar. Available in your choice of black powder coated finish or polished stainless steel. Requires minor trimming of the bumper grill. ARB is one of Australia's largest manufacturer of off road equipment. The name is known worldwide. They are known for quality of design, material, and craftsmanship. Bull Bar components are laser cut, and carefully assembled in assembly jigs which are pre-checked on a master table prior to production. MIG welded for maximum strength. All tubing is mandrel bent for smooth distortion free bends. 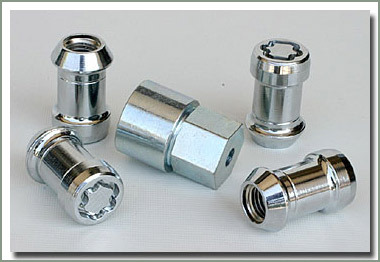 All products are steel shot peened and then washed in hot phosphate to prevent rust. Bars are then electrostatically powder coated and cured in a 215 degrees Celsius oven. Engineering a bull bar means taking all things into consideration: vehicle design, crumple rate, air bags, approach angles, accessory fitment, strength, weight, and of course appearance. ARB has maintained this philosophy over the years, resulting in the pioneering of new bar design innovations. 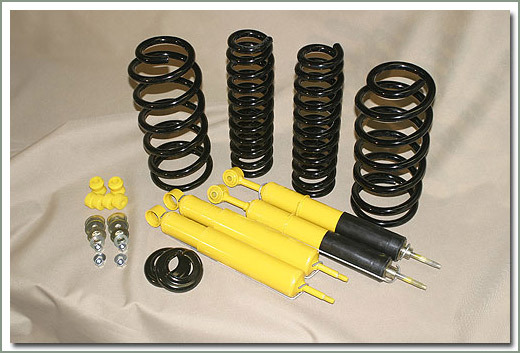 ARB bars are designed to minimize vehicle damage and keep you moving. Bars are designed to accommodate low profile winch models. Provisions for these winches are integrally incorporated into each bar design, eliminating the need for compromising winch cradles. ARB's designs also include provisions for the roller fairlead, which provides additional reinforcement and strength during winching, especially at acute angles. 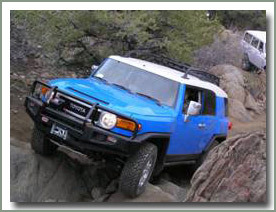 ARB designs it's mounting systems to fit each specific vehicle model. Without a properly engineered mounting system that caters for individual vehicle designs, a bull bar is virtually useless. 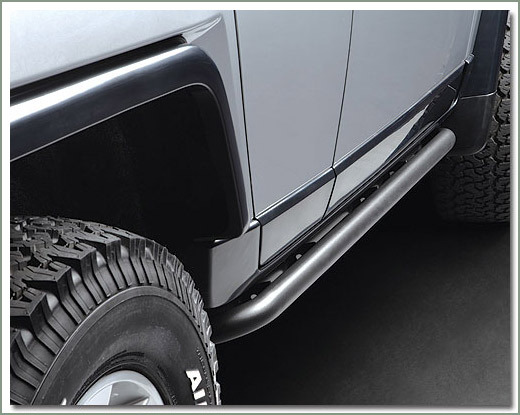 ARB mounting systems are vehicle specific and designed to spread impact over both chassis rails, thereby minimizing damage caused by a collision. ARB air bag compatible bull bars and mounting systems are built to replicate the vehicle's crush rate, thereby ensuring complete air bag compatibility without compromising protection levels. 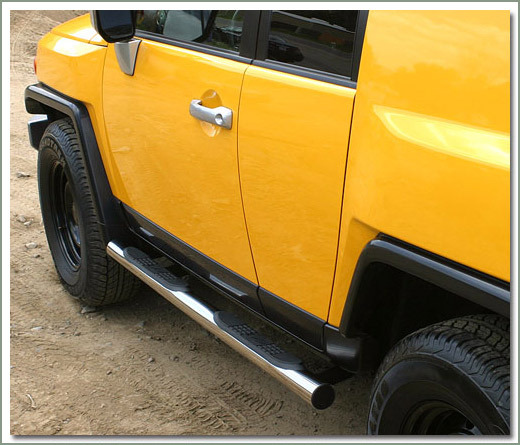 We manufacture a wide range of bull bars that accommodate fitment of an electric recovery winch. All ARB winch bars are built to handle the massive strain generated during winching operation. 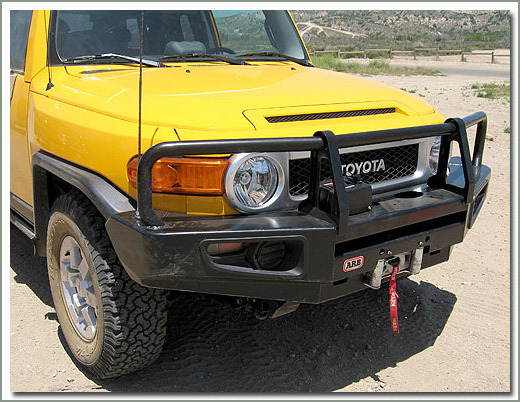 ARB bull bars are designed to complement the unique contours of individual vehicle models, and are finished in a durable powder coat that can be color coded to further enhance the bar's appeal. 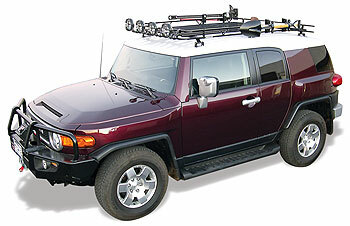 Fits 2006 -- FJ Cruiser. Accepts Warn XD9000, M8000 winches. Airbag approved, recessed indicators. Truck shipment. 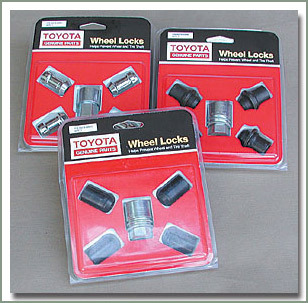 Protect your rims and tires with Genuine Toyota Wheel Locks. Available in chrome or black chrome. Five piece set. Fits 2006 and later FJ Cruiser. Designed to protect the under side and lower sheet metal. These Rock Rails not only add to the rugged look of the vehicle but help absorb the impact of the trail. Made of stainless steel tubing, black powder and e-coated to withstand rust and corrosion. Sold in a pair. Fits 2006 and later FJ Cruisers - easy bolt on installation w/no drilling - bolts to factory holes - injection molded non-slip steps for easy entry and exiting - Sold in pairs - 304 Marine grade polished stainless steel. Fits 2006 and later FJ Cruisers - easy bolt on installation w/no drilling - bolts to factory holes - injection molded non-slip steps for easy entry and exiting - Sold in pairs - Black powder coated finish. 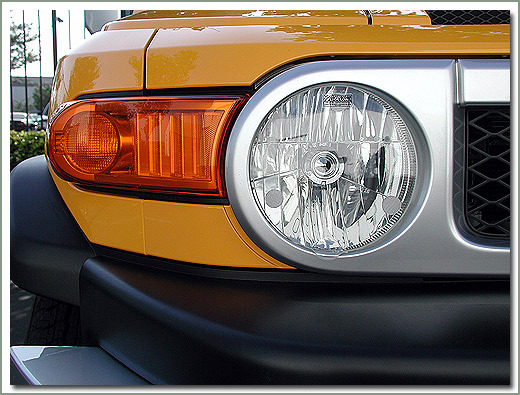 Fits 2006-- FJ Cruiser - Hybrid cover with molded FJ logo. Combines hard plastic outer shell with soft vinyl sides for easy installation and removal. 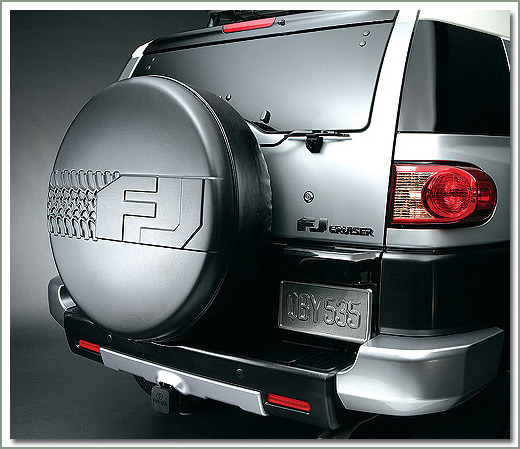 Tire Cover adds a finishing touch to the rear of the FJ while helping to keep your spare tire safe and clean. Fits factory OEM tire size P265/70R17 FJ Cruiser.